Metal roofing is one of the most viable choices when it comes to roof installation or replacement. It is suitable for homes and buildings that have steep or flat roof structure. Also, it offers durability that can withstand the changing weather conditions. Metal roofing poses a lot of advantages and one of them is the wide array of metal types you can use. Zinc, copper, aluminum, galvanized steel, and tin are few of the options you can base your selection from. The broad selection will help you customize your roofing structure depending on the style, price, and durability. Other types of roofing systems typically don’t offer the same options you can get from the metal type. Durability is one of the primary factors that owners are looking for when choosing roofing system. You want a roof that will last and stand the test of time. Metal roofs are deemed to last for up to 70 years. Its lifespan depends on the type of metal you are using though. Metal roofs last longer than the asphalt type which usually lasts for about 20 years. So, a metal roof is a wiser choice if you are a homeowner who aims for longevity in your roof structure. You don’t have to worry about the constant maintenance because metal roofing is known for its resilience. In the end, this will save you from the time, effort, and money of constantly changing or repairing your roof. 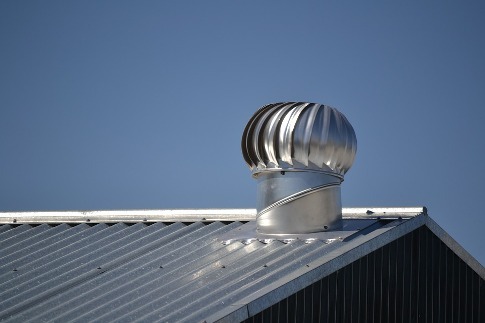 Metal roof is an energy efficient option because of its ability to reflect heat outwards. In this case, you will be able to significantly reduce your power consumption costs and save money for other essentials. Fire safety is another important benefit you can get from metal roof. Since metal has fire proof properties, you don’t have to worry about it burning down. Also, this lightweight material helps in prolonging the life and integrity of the entire structure. Metal roofing can significantly increase the beauty of your home because of the numerous styles to choose from. Consequently, a roof specialist can make your structure more aesthetically pleasing when the roof is installed properly and strategically. The fasteners that hold the roof sheets, when concealed properly, can increase safety and style quality. Also, the color of the metal roof, when chosen intricately, can complement the overall look of the building. In the end, metal roofing systems are one of the most affordable and reasonable choices homeowners have today. The combination of safety, durability, and style is what makes it one of the most popular roofing options today.